Doctors inflating bills? Recording treatment that was never rendered? Referring patients to facilities where they have a financial interests? Getting kickbacks for referring patients? Treating patients who are dead? Really? 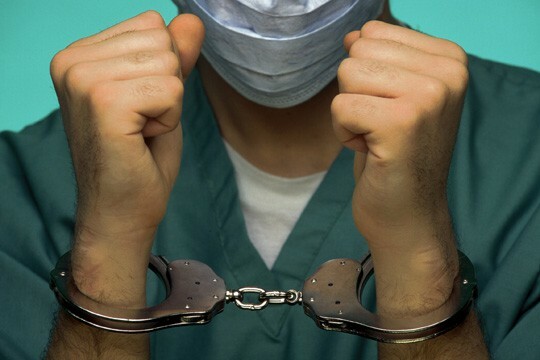 On September 7, 2011, the U.S. Department of Justice announced that total of 91 defendants were charged nationwide for submitting more than $295 million in false billing to Medicare. This action involved the highest amount of false Medicare billings in the history of the strikeforce’s activities. 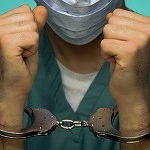 What did these healthcare providers get charged with? These are details of a few of the defendants. Dr. John Natale, a vascular surgeon at Northwest Community Hospital in Arlington Heights, IL, was charged with defrauding Medicare. He allegedly intentionally prepared fictitious medical reports that detailed medical procedures that he knew did not occur or were more complex than he actually performed. Between 2002 and 2004, he allegedly falsely sought Medicare reimbursement for aneurysm repairs that he never performed, and falsely claimed to have performed more complicated repairs of certain aneurysms when the surgeries involved less complicated operations. Kenneth R. Ferrell, a licensed psychologist, and Bryce Woods, who is not a healthcare professional, owned and operated Take Action, Inc. and Inner Arts, Inc. which claimed to provide psychotherapy services for Medicare beneficiaries in skilled nursing facilities in Chicago and elsewhere. According to the indictment, they provided false claims to Medicare for services provided by graduate students who had limited or no supervision. Ferrell and Woods allegedly billed Medicare for more treatments than were actually performed and provided services to dead patients. Three Chicago-area chiropractors were also indicted. Bradley Mattson, Steven Paul and Neelesh Patel were charged with a 23 point indictment for services that spanned more than a decade. The indictment states that they allegedly charged Blue Cross Blue Shield for services that were wither not medically necessary or they did not provide, including x-rays, MRIs, neurological testing and physical therapy. They allegedly marketed their services at malls and employee health fairs and offered false coupons for a free x-ray and discounted office visit, but later billed the patient’s insurance company. The indictment charges that Mattson received kickbacks for referring patients to an MRI facility. The last example is Jay Canastra, the director of admissions for a nursing home called The Wealshire. He is charged with receiving a $1,500 kickback in exchange for referring nursing home Medicare patients to a home health agency. The charges in these cases carry the maximum penalties on each count: 10 years for health care fraud, 20 years in prison for mail fraud, and fines of $250,000 or an alternate fine of twice the loss or twice the gain, whichever is greater. Making false statements regarding a healthcare matter carries a prison term of 5 years and a fine of $250,000. Why do professionals think they can get away with falsifying records and making up surgeries that never occurred? There is a paper trail that is created when surgeries occur. It would be a simple matter to request the medical records for an admission to a hospital or surgicenter on the dates in question. Why do professionals make the kinds of decisions that result in indictments? I asked a legal nurse consultant, Agnes Grogan, who performs bill audits. Her answer was succinct: “Money”. Who pays the bill when this type of fraud occurs? We all do.